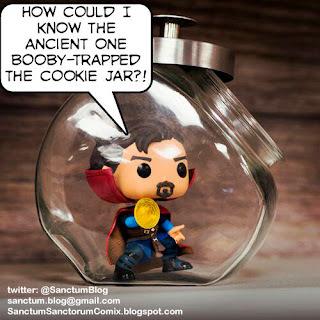 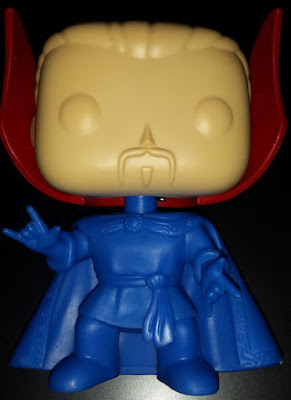 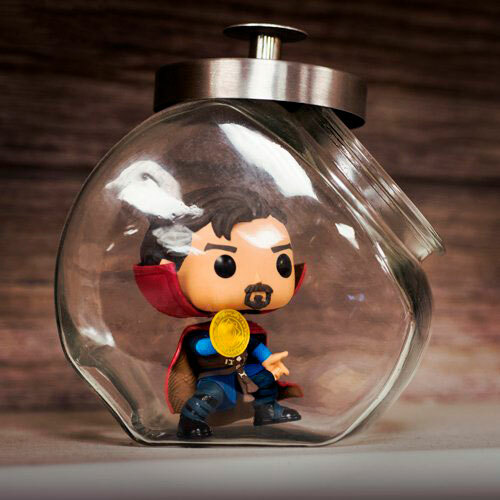 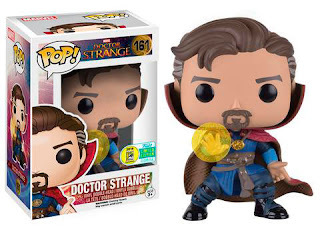 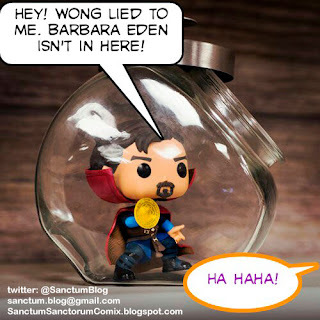 Long-time readers of this blog may remember that I've often likened my collectibles' room (what some might call a "man-cave") to the SANCTUM SANCTORUM of Doctor Strange. In fact, that IS what I call my retreat, my reliquary, my holy of holies... MY Sanctum Sanctorum. 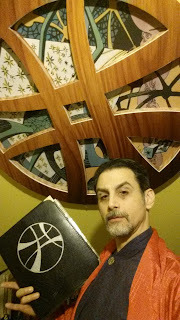 And those self-same long-time readers may recall when I lamented that my Sanctum was in a dilapidated, derelict state (much like Dr. 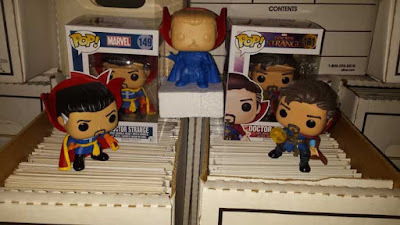 Strange's Sanctum at the time) - [HERE] . In fact, THAT simile' begat an epic and introspective look into the many times that the Sanctum Sanctorum of Doctor Strange was destroyed or in any major way defiled over it's long published history (more times than you'd think). 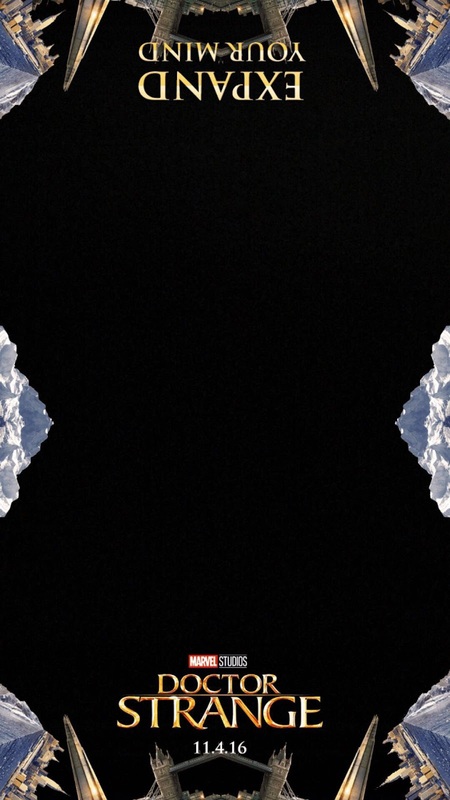 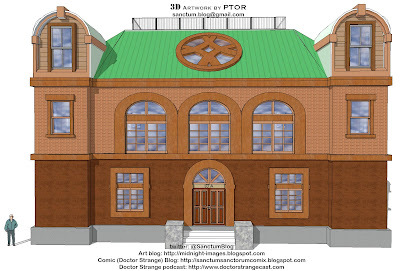 I called it the "Housing Crisis : Sanctus Interruptus" series, and you can read that multi-part essay by following the link above (which, in turn, when completed, leads to a link for the next installment, and then the next, etc...). However, I've long been working on rectifying my Sanctum, and am proud to say that it is completely re-arranged (not an easy feat, as my Sanctum also has angled, inclined walls, like the upper floor of Doctor Strange's home at 177A Bleecker Street. 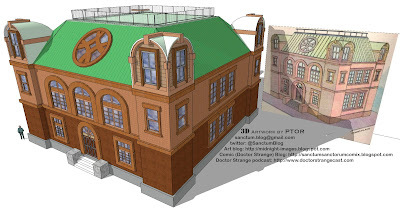 I'll be showcasing many new photos and write-ups of the treasures to be found within (as I sort of did with a new photo in this recent post [HERE]), as well as further entries in to the "Housing Crisis" series, since my last update. 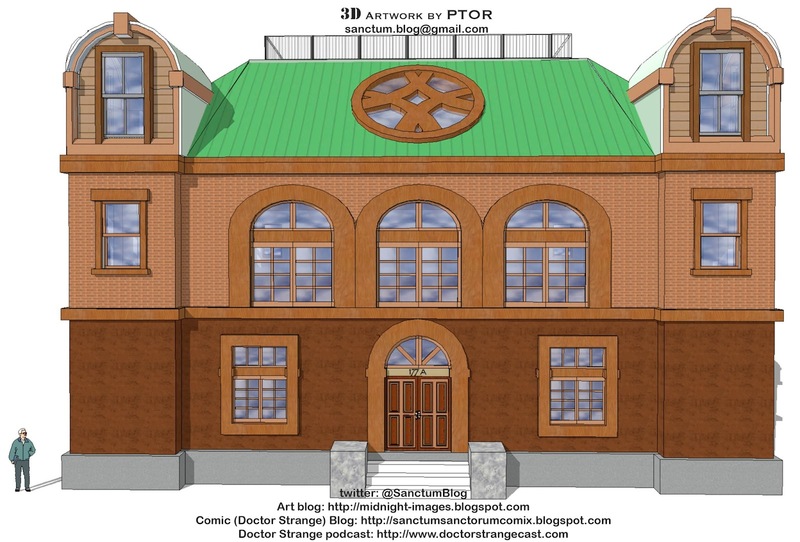 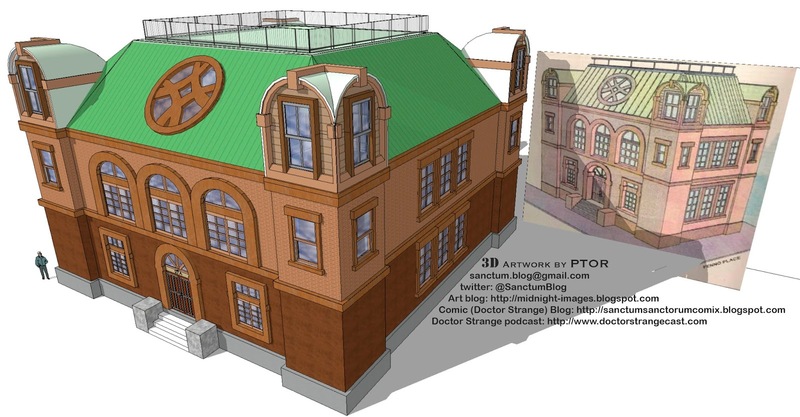 3D Model of the SANCTUM SANCTORUM at 177A Bleecker Street. with the 2-D illustration from the Official Marvel Handbook that I used as a guide. 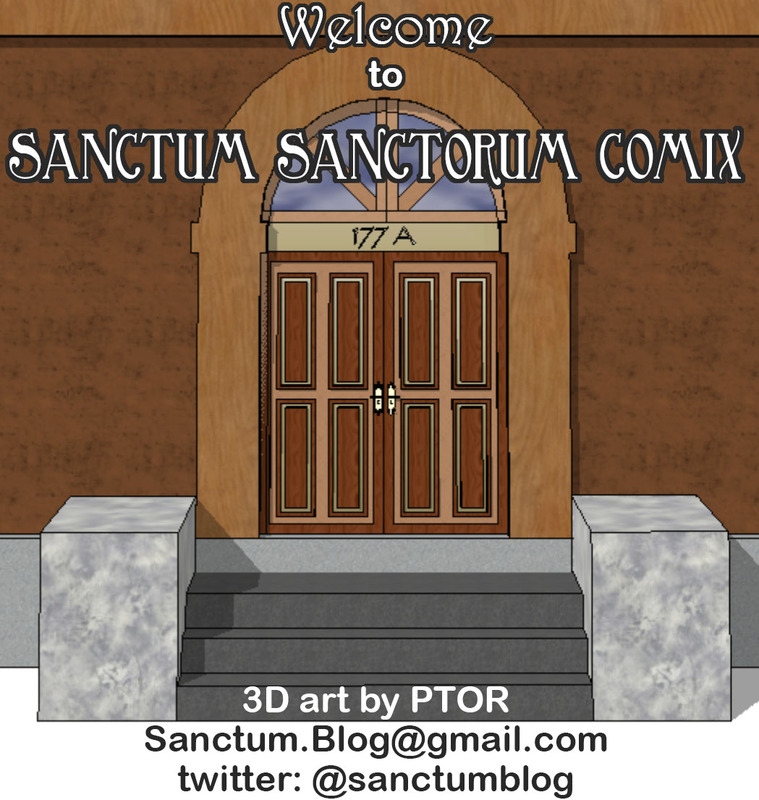 As I progress further with the interior of this model - as well as my own personal Sanctum, I'll post updates. 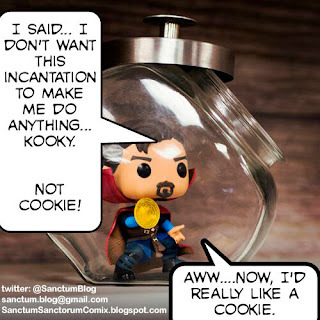 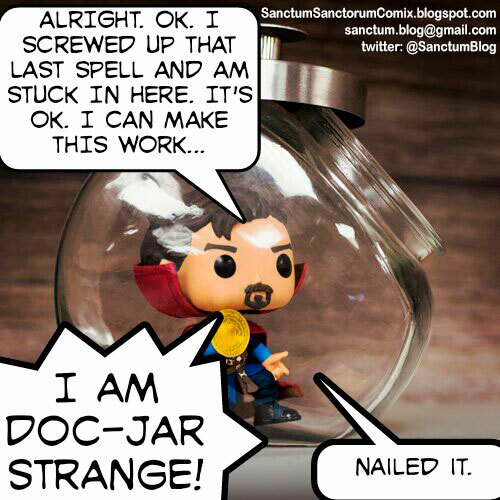 In the meanwhile, don't be a STRANGE-R to the Sanctum Sanctorum Comix blog, either HERE [HERE] or on the TWITTERS - [HERE]- or, on the NEW "Doctor StrangeCast" Podcast - [HERE]. 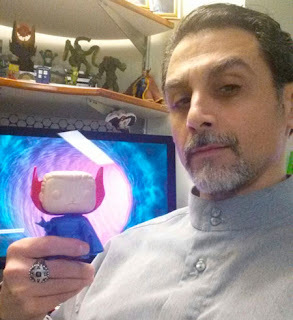 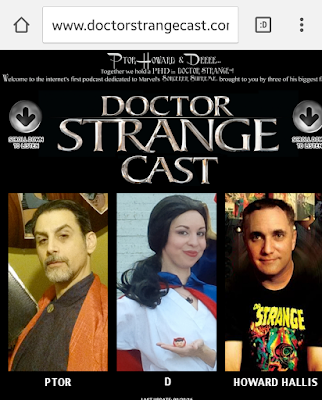 Diedra ("Deee"), Howard Hallis, and myself share various thoughts and experiences with, not only Doctor Strange, but comics and pop-culture in general. 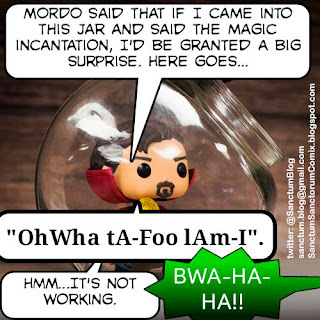 THE SPIRIT IS WILLING... AND WHERE THERE'S A WILL, THERE'S A WAY! 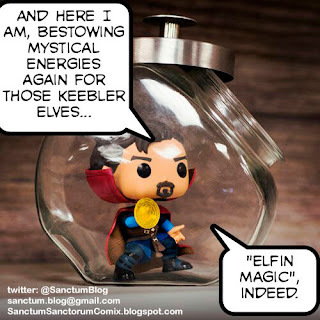 This is a blog-post that I SHOULD have written days, months, years...er...EONS ago! While my presence on this blog has been... remiss (to say the least), it was NEVER for lack of wanting to do so. 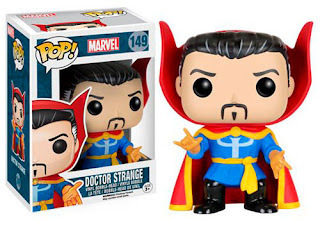 However, even as the BENEDICT CUMBERBATCH starring DOCTOR STRANGE film has been looming, and of ALL times for me to be cast on the wayside (life has been... hectic), THIS was the worst time. 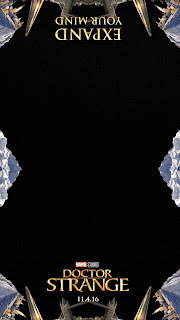 However, I've not been completely absent. 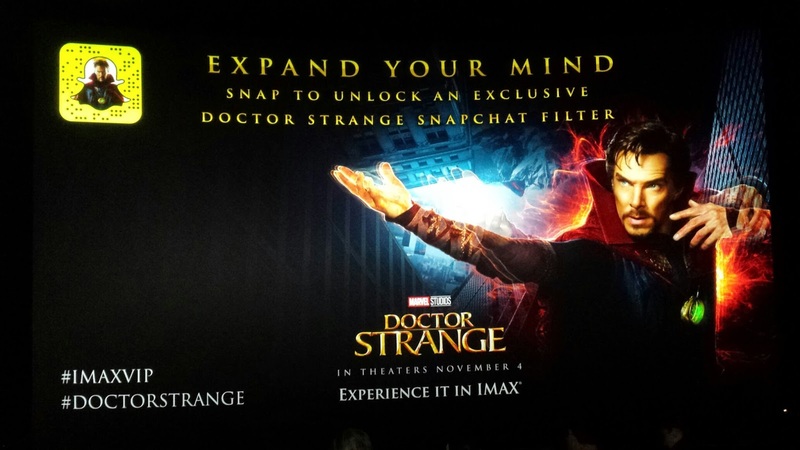 If you've been following me on Twitter, then you'll know that I'm STILL blogging #doctorSTRANGE - in 140 character bursts. 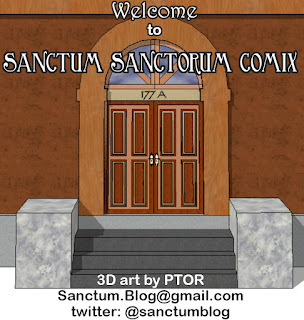 I'm ALSO a part of a new podcast that will be launching in a day or two. 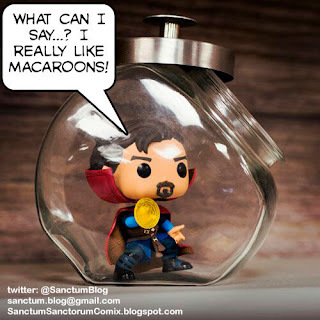 I've finally got my home's Sanctum Sanctorum completed, and I'll be photographing and blogging about a TON of merchandise that I've collected over the past 40 years! 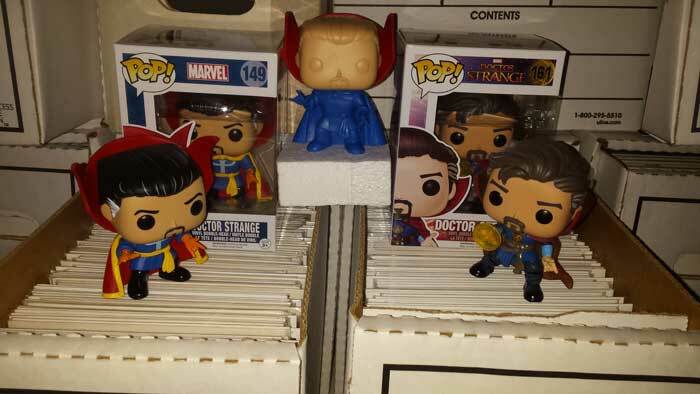 & the new DOCTOR STRANGE-CAST !